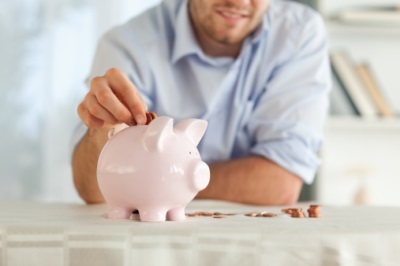 Top tips for saving money in 2016! After shopping for Christmas gifts and splurging in the sales, the start of a New Year is the time to change your spending habits! A study by Standard Life has revealed that nearly 1 in 3 (32%) of us wish we had saved more in 2015 while nearly 1 in 5 (18%) regretted not saving money at all last year. Other financial regrets included buying too many clothes (12%) and ordering too many takeaways (11%). Convenience rules during a busy working week but making a packed lunch at home could take as little as 10 minutes! Making your lunch at home is likely to involve more planning, but less money spent on impulse calorific treats! At the start of the New Year, many of us make a resolution to become fitter and healthier but don’t be tempted by an expensive gym membership if you believe that you might lose interest. Be aware of the cancellation terms in advance and perhaps try out a cheaper trial membership to begin with to test your commitment. There are many apps and websites available which offer free training programmes. Did you know that forgoing your daily chocolate fix could save your more than £200 a year? An occasional treat is something we all look forward too but junk food binges can quickly add up and cost a large amount of money over the course of a year. According to Cancer Research UK, three glasses of wine or four pints of beer a week can add up to a total cost of approximately £636 a year! Imagine how much you could save by drinking less often. Cutting back will not only have a positive impact on your wallet but also for your health. If possible, why not walk or cycle to work? Not only would this help to save on petrol costs and train fares, it’s also healthy and a great way to start the day! Many companies offer cycle-to-work schemes so it’d a good idea to ask if you are unsure. If it’s not possible to travel this way to work, try to walk to other places such as the supermarket when you go shopping. Not having a daily latte could save more than £700 a year for some people, depending on where they buy their coffee from. Although your coffee may be giving you a boost in the mornings, it’s draining your wallet so try and cut back or make our own rather than buying it!